2 to 4 pieces of a chocolate bar (try Cadbury's Dairy Milk, Neilson's Jersey Milk, or Hershey's Skor Bar). Before you start roasting your marshmallow, have your graham crackers and chocolate ready. Place the pieces of chocolate on one graham cracker, set the other graham cracker aside. Now, heat the marshmallow over an open flame until it starts to brown the edges and melt. Pick up your graham cracker with chocolate and place the marshmallow on top. 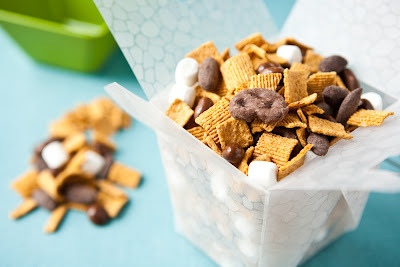 Quickly grab the other graham cracker and sandwich the marshmallow in on top of the chocolate. Allow the marshmallow to cool before eating. Preheat the oven to 350 degrees. Line 24 muffin cups with paper liners. In food processor, pulse graham crackers until they are fine crumbs. Add sugar and melted butter and mix until well combined. Add approximately 1 tablespoon of crumbs to the bottom of each liner. Use a small circle object (I used a shot glass) to press the crumb mixture evenly into the bottom of each liner. Bake for 5 minutes and remove from the oven. Divide the chopped chocolate evenly among the cupcakes. 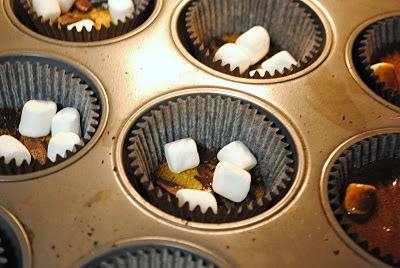 Add approximately 4 marshmallows to each tin. Sift together flour, cocoa powder, sugar, baking powder, soda and salt in your mixing bowl. In a small bowl, add eggs, milk, oil and vanilla and whisk together. Add to dry ingredients and beat on low speed until just incorporated. Increase speed to medium and beat 2 minutes. Add boiling water and beat on low until just combined. Spoon batter evenly into cupcake liners, filling each about 3/4 of the way full. The marshmallows will float to the top but that's okay. Bake approximately 18 - 20 minutes until a toothpick inserted in the center cupcake comes out clean. Cool for about 5 minutes in the pan and then remove to a wire rack to cool completely. In a clean stainless steel mixing bowl or double boiler, combine egg whites, sugar, and cream of tartar. Whisk frequently, heating the mixture over medium-high heat until the temperature reaches 160 degrees. Transfer egg mixture to stand mixer fitted with the whisk attachment. Begin mixing at low speed, gradually increasing to medium-high speed as the mixture becomes thicker. Beat until stiff, glossy peaks form. Add in the vanilla and mix until just combined. Transfer frosting to a piping bag fitted with a large star tip and frost as desired. Using a kitchen torch held about 6 inches away from the cupcakes on a non-flammable surface, brown the cupcakes lightly as desired. Keep the torch moving so you don't catch any spot on fire. 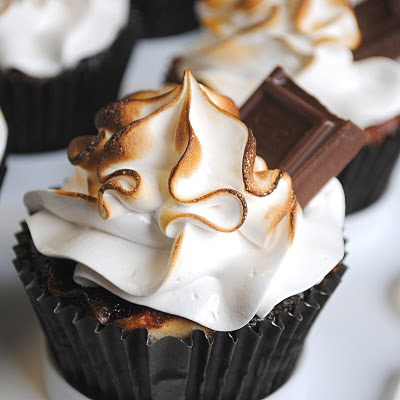 Just like toasting marshmallows by a campfire, slow and steady is a better approach than sticking the marshmallow to close to the fire, you're going for lightly toasted frosting not black and bubbly marshmallow. Garnish with chocolate bar segments. 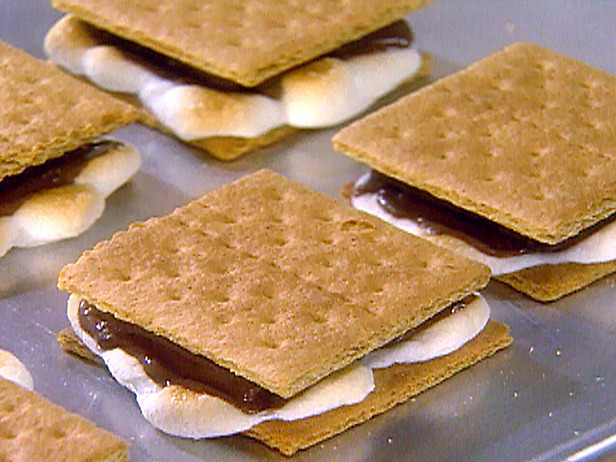 Enjoy all the s'mores recipes! I know you will!